It is that time of year again. Mardi Gras! Laissez les bon temps roulez. (Let the good times roll!) I’ve noticed something about my writing. It follows holidays. Or rather I am greatly influenced by the holidays and seasons. I was writing a novel set in late summer for NaNoWriMo, but what I really wanted to write was another Christmas story. Now, I’m almost through plotting that Christmas story and I want to write a story with Mardi Gras as a background. What’s next, Mother’s Day at the beach? Spring Break at the FloraBama? 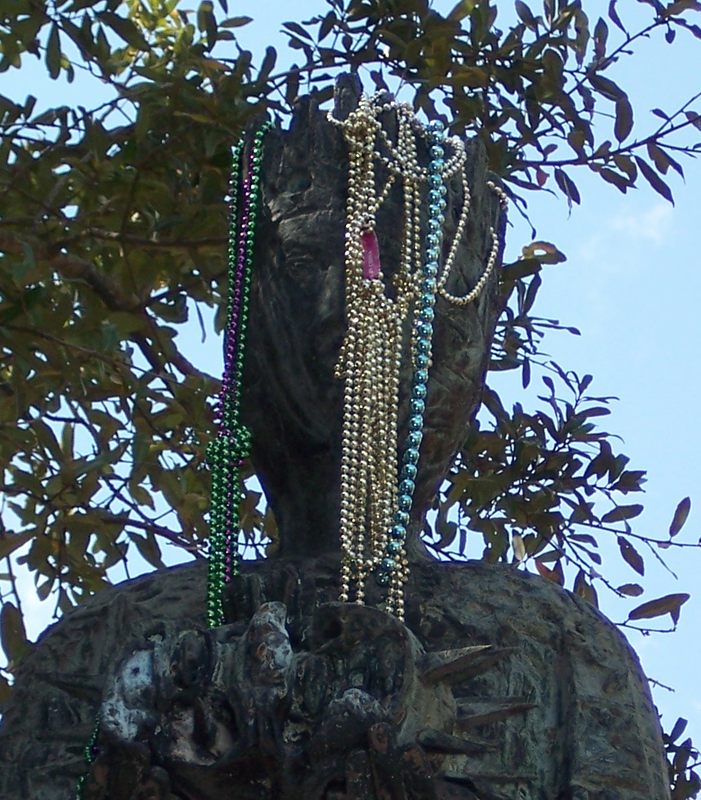 Over the next few weeks, bear with me as I share tidbits of Mardi Gras legend and lore. Something might strike your fancy for a future writing project. Today, just a bit of info. Mardi Gras, in Mobile, has it’s first parade today. The Krewe de la Dauphine rolls on Dauphin Island. They seem to be first every year. For Mobile proper, The Conde Cavaliers parade January 30. That is the official start to parade season, which ends Tuesday, February 17. Nights, days, and weekends will be full of parties, parades, and balls for those who fully participate in Mardi Gras. I tend to stand on the sidelines and watch. Most of the group I work with will be attending a Mardi Gras Ball tonight. Can’t wait for the play by play on Tuesday. For those that don’t know. Mardi Gras actually started in Mobile, brought over by the French. Basically, it’s a time of festival that occurs before Lent. Get all the fun out before you have to give everything up. Now, it’s just an excuse for weeks of partying. Because of that, the dates of Mardi Gras change, based on when Easter falls on the calender. Is your writing influenced by holiday’s or seasons? This entry was posted in Uncategorized and tagged Laissez les bon temps roulez, Mardi Gras. Bookmark the permalink.